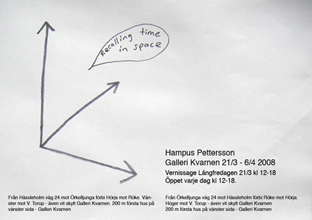 The exhibition "Recalling Time in Space" was a processual installation which was carried out at Galleri Kvarnen in Hörja, 21/3-6/4 2008. The piece was a three-dimensional representation, in the form of a drawing installation, of different possible ways of connecting memories. The three axles of the gallery space were each designated a timeline corresponding to the amount of years which I had lived. Coordinates were then randomly selected using dice. Each coordinate represented an intersection between three different years in my life, and these intersections became the basis for the generation of a series of drawings where fragments of memories and different aspect of the self were allowed to enter into a dialogue with each other. Time seems to dissolve into space and the sense of a linear life-story gives way to a field which can be explored in a variety of ways and from many different perspectives. The performance piece "Lemon, Tangerine, Jasmine, Raspberry" can now be viewed at the Projects page. 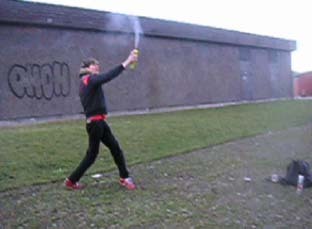 Making use of scent-sprays with different odours, and referencing graffiti and street art, I created ephemeral installations within the public sphere. Both brashly manifesting myself while at the same time dispersing into the environment, the piece simultaneously celebrates as well as undermines graffiti-culture and its focus on the ego writ large for everyone to see. 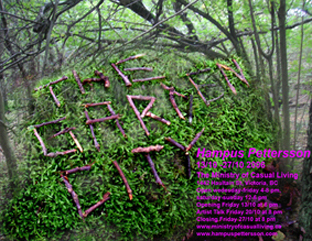 "The Garden City" was a processual installation which took place at the Ministry of Casual Living Gallery in Victoria, Brittish Columbia, Canada between 13/10-27/10 2006. The city of Victoria is also known as "The Garden City", and using this theme as a springboard ideas about nature and how we relate to it were explored. This encompassed both general cultural ideas which have been tied to the concept of nature, and more personal reflections based on lived experiences, memories and associations. The idea of the garden is one of nature cultivated and organized by man within the context of our culture. In a similar fashion, elements of nature were taken into the gallery space and used as material for an art piece, but one characterised by dynamic change, growth and a flowing form. Branches, leaves, moss and rocks were utilised to create an environment where video-projections of different forest and garden environments in Gothenburg, Sweden were shown. The local music and art culture was also worked into the piece, which included a series of drawings done in collaboration with artist Cameron Kidd. Check out the piece "Mnemonic City (Göteborg/New York)" which I did as a part of the group show "Knock Knock Picnic" at the Jack the Pelican Presents Gallery in Williamsburg, New York! In this processual installation the cities of Göteborg (Sweden) and New York (US) were merged within the sphere of the gallery. To assist me in this endeavour I had the generous contribution of a stellar cast of collaborators: Marit Bergman, Liz Cummins, Stefan Johansson, Jens Lekman, Dan Lundberg, Terese Nordström, Stanley Paulzen (aka Fred Astereo), Alyssa St Vincent and Kamakani Weinberg. 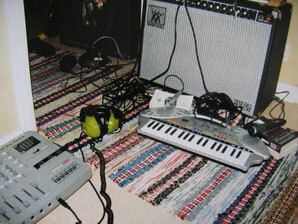 "The Radius of my Heart" at Galleri Wuthering Heights in Malmö (24/2-5/3 2006) is a process-based installation piece exploring my relationship to music, especially punk, indie rock and noise. Most of these musical forms of expression have something extroverted, expressive and even explosive about them, yet the idea of finding and defining one's innermost being is often seen as an introspective process requiring time, attentiveness and contemplation. 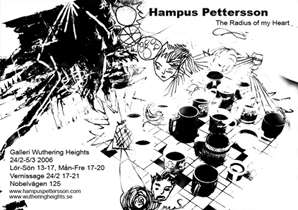 Check out the show "Echo Through the Present" at Galleri Mors Mössa, Husargatan 11 in Gothenburg! 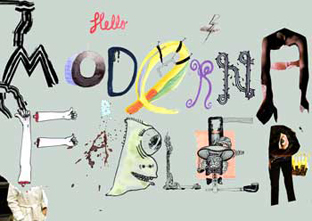 A two-month process-based installation piece (lasting between 1/6-28/7 2005), it explores the relationship between memory, consciousness and identity-formation, both in relations to the self and to the world. A constant state of flux between different states, evoking memories both long gone and recent, imagining futures and seeing the present. Thoughts and emotions recontextualising each other, creating non-linear narratives in an idea-space alternating between the material world and the abstract. The sounds gallery has been updated! 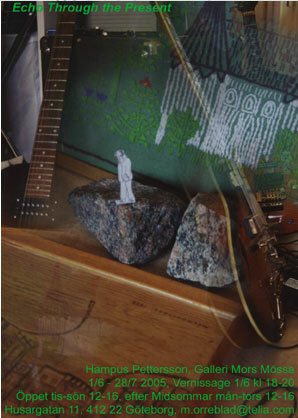 It now features lots of happening tunes, including Kartoffel Menschen Trio's greatest hits, some U2 covers, the soundscapes of Elsewhere Right Now, the freeform analog/digital improvisations of Hugs, plus some home recordings!